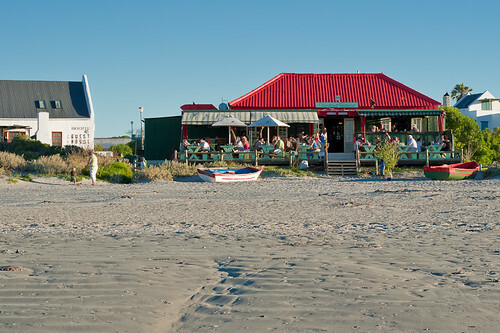 The Voorstrandt Restaurant in Paternoster on the South African Cape west coast is the perfect place to enjoy lunch, dinner or a drink while looking out over the beach and sea. Be warned though that they are very busy so if you’re going to be in the area and want to eat there, it’s best to call and make a reservation to avoid disappointment. This entry was posted in Photos and tagged Beach, Paternoster, restaurant, voorstrandt. Bookmark the permalink. Wanted to send you a pic from the voorstrandt, but I can’t find an e-mail address on your site.